The main objectives were to re-evaluate the seep database acquired in 2014 (BSS14), incorporate additional calibration points and develop a workflow for improved identification of hydrocarbon phase in seep data and ranking of exploration targets in undrilled areas. 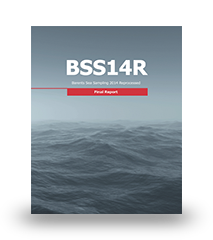 The comprehensive BSS14R report includes a calibration study based on statistical analysis of seep data acquired near seven exploration wells during the BSS14 survey. The results of the calibration study were applied to the three areas in the Hoop and Barents SE areas. The results will be used to develop a workflow for ranking untested structures, and for improving the design of future seafloor sampling surveys. 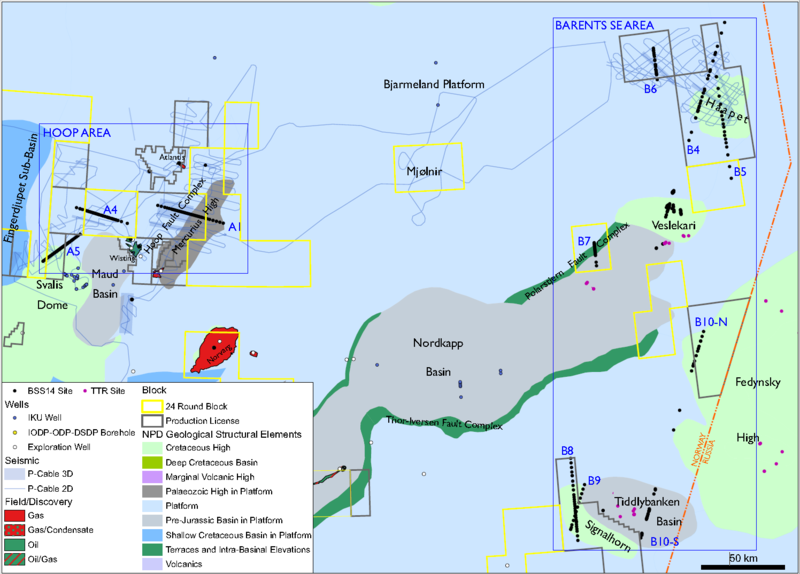 Map showing Hoop Area and Barents SE Area sampling sites and 24rd round blocks. 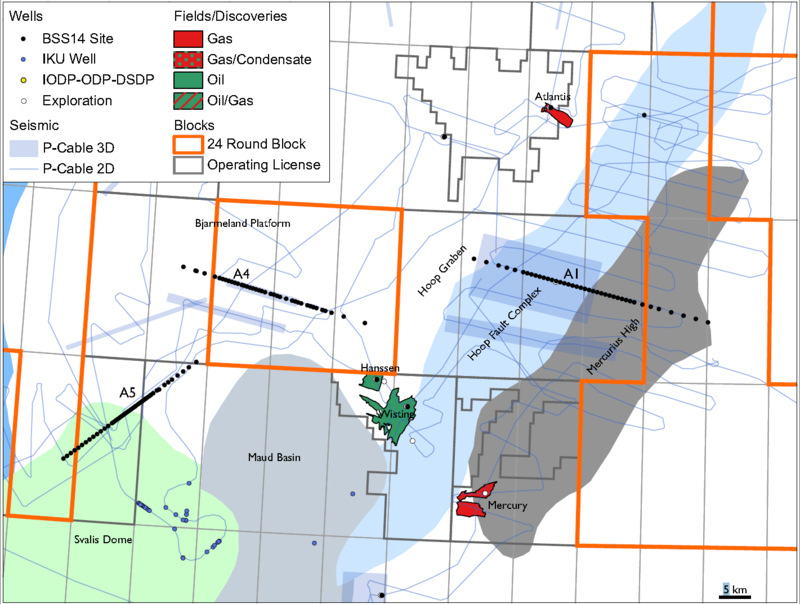 Map showing Hoop Area sampling sites and 24rd round blocks.